Smith says NCR sees “very good” opportunities for the company in Malaysia. KUALA LUMPUR: Global consumer transaction technology solution provider NCR Corp anticipates that Malaysia will see the roll-out of interactive teller machines (ITMs) across the country within a year, which will be the next big play for financial institutions in the country as it will transform retail banking here in unprecedented ways. An ITM, which has been described as a “branch in a box”, is essentially an advanced version of an ATM (automated teller machine). It allows consumers to perform banking activities from simple cash transactions to deeper, more personalised banking activities with remote tellers. An ITM can offer up to 95% of a traditional brick-and-mortar branch’s transactions, and is available all-day long, said Jaideep Agrawal, the managing director for NCR’s managed services business across Asia-Pacific and Japan. Incorporated in 1884, the Atlanta-based company first established its presence in Malaysia in 1959. Listed on the New York Stock Exchange with a market value of over US$3 billion (RM12.27 billion), NCR is a technology company that has successfully transitioned from a hardware-focused firm to a software company. The bulk or some 66% of the group’s US$6.5 billion revenue in 2017 came from software and services. Over three years ago, NCR opened its centre of excellence in Malaysia and made Kuala Lumpur its services hub for the Asia-Pacific region. It makes self-service kiosks, point-of-sale terminals, ATMs, cheque processing systems, barcode scanners and printer consumable products. It also manages networks and servers for ATMs and kiosks. 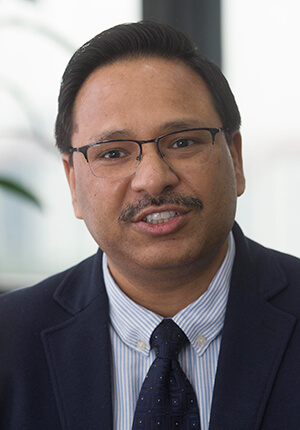 A few pilot projects on ITMs have already been done in Malaysia, said Jaideep, adding that the anticipated roll-out of ITMs in Malaysia is in line with the trend NCR sees of consumers expecting the same omnichannel experience from banking today as they are able to accomplish much more of their tasks through digital channels. Jaideep also noted that 87% of banking consumers still want to use a branch and expect human interaction when they go there. Hence, the banking experience provided has to be transformed to meet new consumer expectations. This is where NCR thinks ITMs can help close the intimacy gap by enabling customers to get that personal banking touch by connecting them with a remote teller in a two-way audio or video interaction. A shift in digitalisation of financial services in Malaysia, said Jaideep, also presents an opportunity for NCR, which serves the digital/electronic banking space. “Banks are reducing branches and are poised to embark aggressively on digital and electronic banking,” said Jaideep, as he noted the rapid advance of digital banking in Malaysia over the past 10 years due to the growth of Internet penetration and the unprecedented access to a wide range of smart devices. 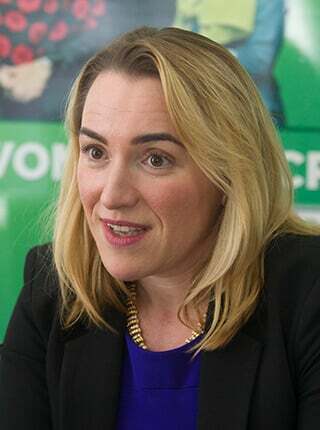 Indeed, NCR’s corporate vice-president Marija Zivanovic Smith, who heads the company’s marketing, communications and government relations, said NCR sees “very good” opportunities for the company in Malaysia. The company, which currently commands about 35% of the ATM market share in Malaysia, is also optimistic about its growth in Southeast Asia. It is now hoping to partner with parties like Malaysia Digital Economy Corp Sdn Bhd to assess how to grow further in Malaysia, and how to leverage on its presence here to grow in Southeast Asia, said Smith. The company views Malaysia, with its central location in the region and with the pool of talent it has, as a key location for the company. “Malaysia will have some similarities in requirements with Southeast Asia, and that will help us penetrate even more places like Indonesia, Vietnam, South Korea and so on,” said Smith. Interestingly, Smith also shared that “cash is not on its last leg”, despite “e-payments” or “cashless” offerings becoming buzzwords that have hogged headlines in the past couple of years here. “Many people have been quick to dismiss cash as something that is ‘in the past’, especially as the use of cards and online payments take centre stage. [But] cash is here to stay, complementing the digital boom,” she said. Cash, Smith said, still plays a dominant role in small-value transactions, and remains the leading payment instrument for many types of purchases. Hence, it is the key alternative when other digital payment options are not available. In Malaysia, cash transactions have continued to be on an upward trend in the past four years, said Smith, citing statistics from Bank Negara Malaysia. Cash in circulation grew about 47% to RM92.35 billion in 2017 from RM62.71 billion in 2013, she noted. On NCR’s centre in Kuala Lumpur, Smith said the office has grown its staff from just 10 to about 200 now. From the Centre of Excellence (CoE), NCR supports about 300 customers in 10 countries, and performs 390,000 transactions a month. The CoE provides support services using next-generation tools like big data analytics, remote diagnostics and resolution, security management, help desk and cloud-based solutions. “We have seen some great progress in the last few years here and we would like to continue to grow the local talent pool we have here and the work that our teams deliver from Malaysia. “We are proud of the growth in the Kuala Lumpur operations and we are excited about the potential opportunities for growth,” Smith added.